1. 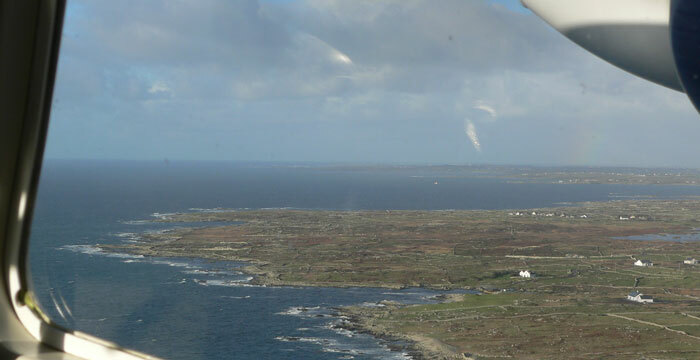 Lighthouses – If you’re into lighthouses you’ll love Shetland which has no less than seven. My personal fav is Sumburgh Head which has a brand new visitor centre. 2. Scones! – Whether sweet or savoury – you’ll soon discover that folk here love this delicious treat. Just saying. 3. 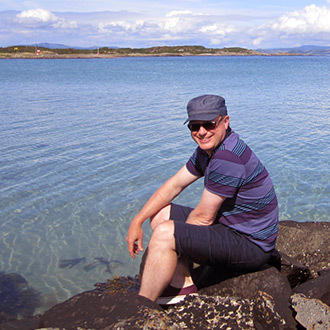 The White Wife – If you go that far north, do pay a visit to this white-washed figure, poised on the rugged coastline of Yell. 4. Shetland ponies – Enough said really. No matter where you drive here, you’ll be sure to spot some galloping around. Have your camera at the ready. 5. The ‘Reel’ deal – The Isle of Unst is now home to Shetland’s newest gin distillery – Shetland Reel Gin. Do sample some if you get the chance. 6. Be a local – If you want to get a feel for a place, check out the local newspaper. The Shetland Times comes out weekly and is full of info on what’s happening and where. 7. Prepare for all weathers – The Shetland Isles have their own micro climate, so expect to experience all four seasons in a day. Layers are your friend. 8. Embrace it! 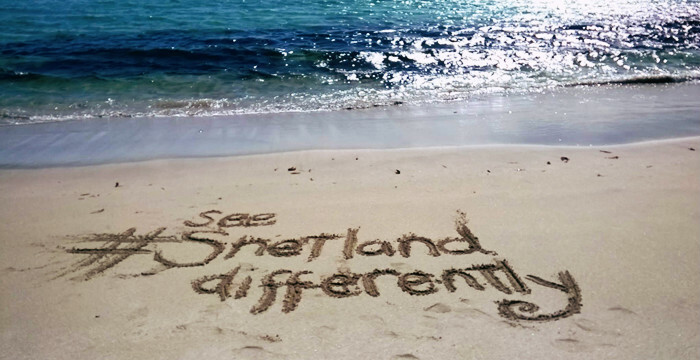 – Shetland is like no other place you will have ever experienced, and I can’t wait to return! After some great weather in April, May has been a bit of a let down. We have seen a fair bit of ferry and even flight disruption. As part of our service we have to keep a close eye on what’s happening weather-wise and how it’s affecting our clients, so that we can come up with alternative plans when necessary. To do this effectively we need to be able to access accurate and timely information from transport providers – some are better than others! One of the better innovations in recent years came from Calmac the ferry company, who now have an “app” so you can monitor all their routes in one place. While this is convenient, the system works on a green/amber/red indicator – green being normal service, red being cancelled, and amber being defined as “may be delayed or cancelled at short notice”. Problem is, that’s so general to be almost useless, especially when you are trying to work up back-up plans for clients who can be travelling in remote parts of the country. So then it’s back to the old fashioned method – call the ports and find out the full story. I have even been in contact with a couple of vessels directly, just to make sure they were going to make a sailing and get our clients to where they needed to be. As you can imagine “Ferry on Amber Alert” is not the news we like to wake up to in the morning. All part of the McKinlay Kidd service! Last week Bord Failte (the Irish Tourist Board) revealed their latest key initiative – “Ireland’s Ancient East” – which follows on from the “Wild Atlantic Way”, launched in 2013. This new concept is not a touring route, but rather a project to promote the history and culture of those parts of Ireland which are neither Dublin nor Atlantic – the bits that many visitors simply drive through on the way to Cork, Kerry and Connemara. I am very positive about the idea, as outlined to the travel trade in Dublin last week. There is no doubting the rich history that can still be seen in these parts of Ireland, spanning Neolithic, Pre-Celtic, Viking, Norman and Anglo influences. 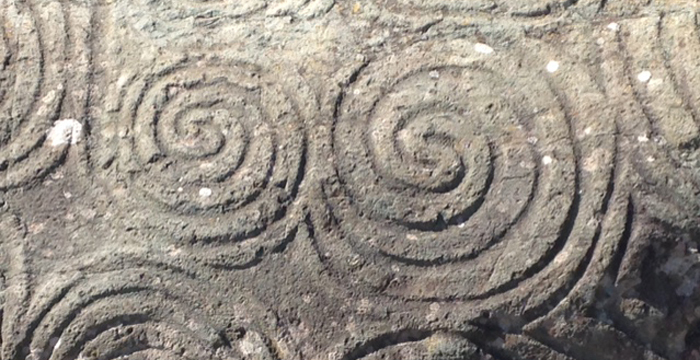 After the event Heather and I visited the Boyne Valley and Bru na Boinne – otherwise known as Newgrange. If being able to actually walk (slightly stooped!) into a structure built over 5000 years ago, one built in perfect alignment to the winter solstice, totally waterproof, yet consisting of stones and turf alone – was not impressive enough, just hearing how this special place had been celebrated through ancient oral traditions, including those associated with my own favourite Irish Hero – Cú Chulainn, the “Hound of Ulster” was pretty awe-inspiring. Yet this is just one of the hundreds of places to visit across the island – and one of the most accessible. If the concept of “Ireland’s Ancient East” is sufficiently resourced, and focuses on working with local communities to help them protect and promote the lesser known sites, it will be a great success. 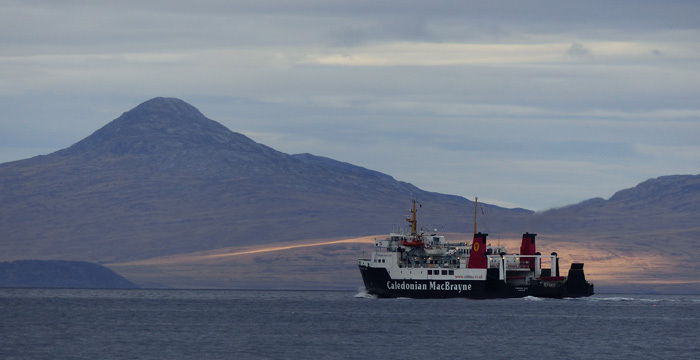 Some consider the day the clocks change for “British Summer Time” as marking the change of season, and we all enjoy the return of longer evenings, but for me another key date is the start of the Summer ferry timetables – this year on 3rd April for the Hebrides and Clyde islands. I was in Oban last Sunday and it was pretty quiet – and a bit wet to be honest, but I know this weekend, with the Easter holidays and more than twice the number of departures to islands such as Mull, Barra, South Uist and Colonsay, the whole place will take on a different character. 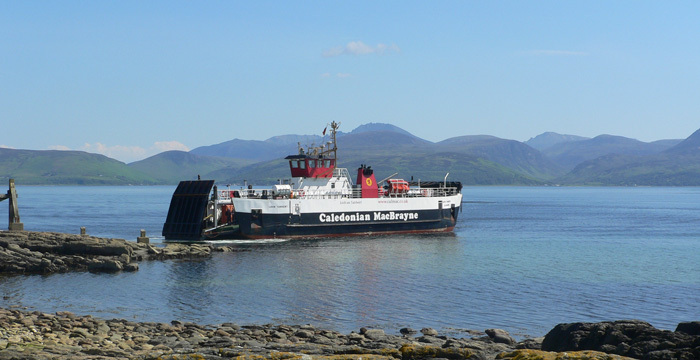 This weekend also marks the return of the super wee ferry from the north of Arran to Kintyre – a personal favourite – and a great way to join up various touring routes. Although the weather may not reflect it yet – the ferries are ready to welcome visitors once again……..
Argyll – a hidden gem? 25 inhabited islands, 14 world-class distilleries, 32 clan seats, Europe’s highest concentration of primitive rock art at Kilmartin, the cradle of Scottish Christianity at Iona, the site where the first kings of Scotland were crowned at Dunadd, wonderful golf courses, stunning wildlife and superb food, and more empty sandy beaches than you can imagine. Argyll has always featured heavily in our See Scotland differently programme, and is also where Heather and I spend much of our leisure time, so I was delighted this week to be asked to address the annual Argyll & Isles Tourism Summit, which brought together businesses from across the area’s tourism sector gather to plan – both individually and collectively – to encourage more visitors to come, for more time, to do more activities and sightseeing. 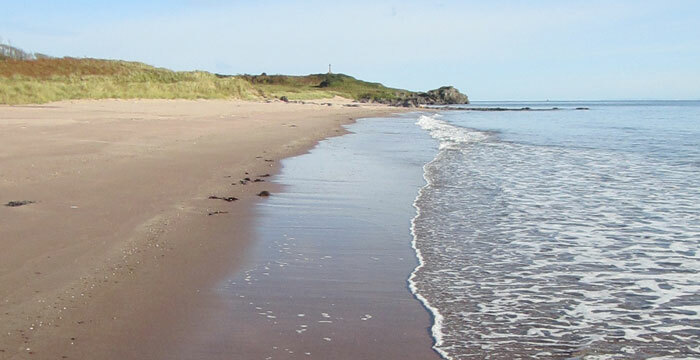 We look forward to offering many more holiday ideas in the area over the coming months and years – its odd to think that an area as rich in potential is still a hidden gem. The development of the “Wild Atlantic Way” has been an impressive initiative from the Irish Tourism authorities, bringing together many of my favourite parts of the island. The landscapes look particularly impressive from the air, and we are delighted to feature the first of a series of specially commissioned videos, which will aim to capture the unique nature of the landscape. This one features Connemara, County Galway – watch out for the cows’ reaction to our film-maker’s drone powered camera! I am often asked how I select hotels to feature in our holidays. The key fact is that I personally visit and select all the hotels and guesthouses we use regularly. I am looking for a variety of factors, including high standards of customer service, the right location, value for money etc – the things you would expect. 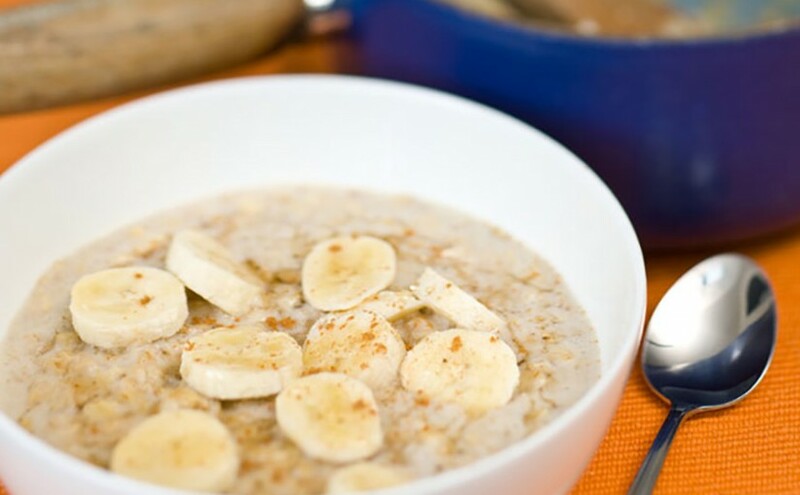 Then there’s the porridge……I do like my porridge in the morning and to me this simple dish can tell a great deal about a hotel or guesthouse….the worst porridge I have had in twelve years of research was in a hotel which boasted a Michelin Star (we don’t use it currently) but I have enjoyed many excellent and varied examples of this perfect start to the day all across Scotland and indeed Ireland too.